Description: FM4 ist das vierte und jüngste Radioprogramm des Österreichischen Rundfunks. FM4 lief ab dem 16. Januar 1995 als sechsstündige Abendschiene auf Blue Danube Radio, 1997 kamen fünf Nachtstunden dazu. 1999 wurde der Split-Sender BlueDanube/FM4 neu überdacht: die bis dahin getrennt agierenden Teams entwickelten gemeinsam ein neues Konzept. Am 1.2.2000 ging FM4 "neu" on air - als bilingualer Jugendkultursender. Auf FM4 wird überwiegend (meist von 1 Uhr nachts bis 14 Uhr) englisch gesprochen, die News sind in Englisch, zweimal am Tag auch in Französisch. Für die Moderatoren oder Gäste gilt das Native Speaker-Prinzip. FM4 ist nicht nur in seinen Radio-Programmen, sondern auch in seinem Web-Auftritt dem Risiko Neues und Ungewohntes zu präsentieren, verpflichtet. Und es ist ein Glücksfall, dass sich Bildungs- und Kulturauftrag einer öffentlich-rechtlichen Anstalt mit einer aus den Szenen gespeisten Redaktion treffen. FM4 is the fourth and youngest radio station at the Austrian Broadcasting Corporation. FM4 is the brain-child of a group of radio producers who, in 1994, made it their goal to create an on-air space which reflected the increasingly relevant alternative music scene and culture plus the steadily growing alternative music scene in Austria. As of the 16th of January, 1996, FM4 went on air in the form of a six-hour evening program platform on Blue Danube Radio. In 1997, FM4 added another five hours to that programming and the ‘split station’s respective teams decided to unite and come up with a new concept, the result of which turned out to be the ‘new’ FM4 which went on-air as a 24-hour bilingual youth-oriented radio station on January 2nd, 2000. Though bilingual, English is spoken predominatly (all programming is in English from 1 am until 2 pm). The News bulletins are read in English and twice a day, they are even read in French. FM4’s hosts and on-air guests are encouraged to follow FM4’s ‘Native Speaker Principle’ and speak in their mother tongue. 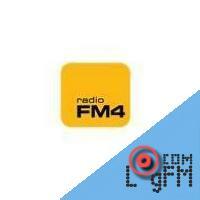 Fm4 is obligated to present all that’s new and what others may consider ‘risky’ not just on-air but on-line as well. Although it is an official mandate of the public Austrian Broadcasting Corporation to provide quality educational and cultural programming, the passionate and talented FM4 team can’t help but deliver exactly that. Advertising: . At LogFm.com you can listen to any of the 45,000 radio stations online. We have made it easy for you to find your favorite radio, listen to the music you like, find the best new songs, listen to the latest news, etc. Simply type the station name in the search box and enjoy your choice. Listen to the radio online at LogFm.com. Our E-mail: info@logfm.com. Live ORF FM 4. Rock and pop music, to listen to the latest news online.All rights reserved. 2009-2019 © LogFm.com.